TV18-owned english news channel News18 India is launching a new show titled ‘Epicentre @ 7’.With an aim to provide differentiated content to viewers, CNN-News18 recently initiated a revamp of its prime time with the launch of new shows ‘Face-Off at 9’ at 9 pm and ‘Viewpoint’ at 10 pm. It unveiled two more shows ‘India 360’ at 8 pm and ‘The Crux’ at 8.30 pm. 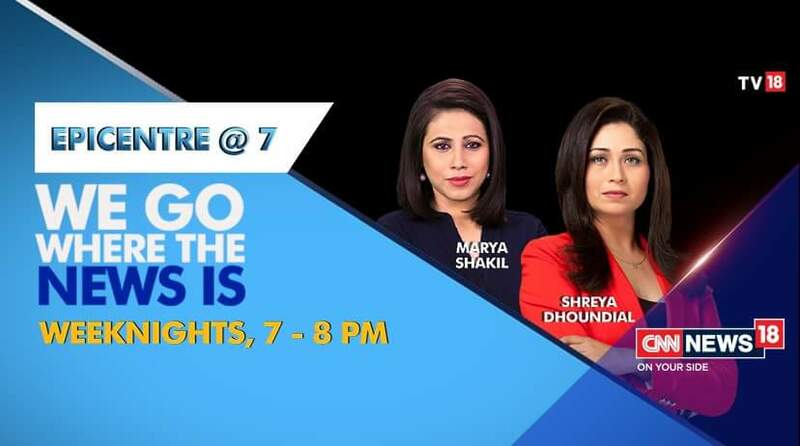 The show will concentrate heavily on the biggest news of the day, articulating the alternative idea that generally gets lost in the heat and noise of daily debates. It will talk to young and fresh voices across the social and political spectrum who are fearless and disregard political correctness, to get their opinion. The show will not just include Delhi-centric news but will also put the spotlight on the North East and South India curating headlines, stories and opinions to bring out the big picture.